Our dining area. 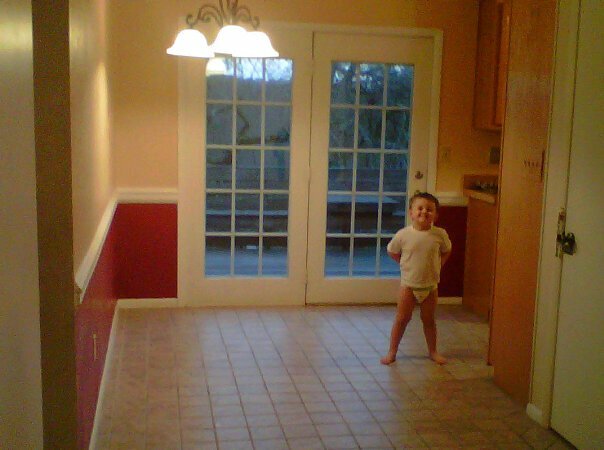 Excuse my son with no pants (see previous post). 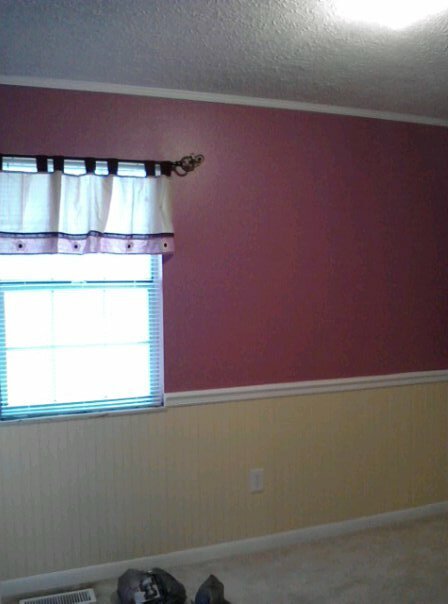 Avery's room. 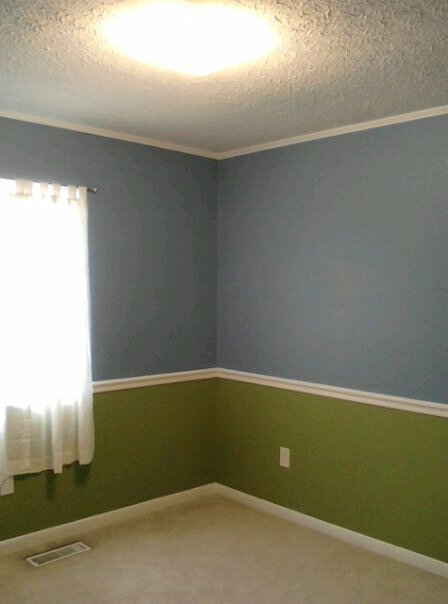 The bottom color is called Guacamole...which is also one of his favorite things to eat. We did not notice this until after we moved in. 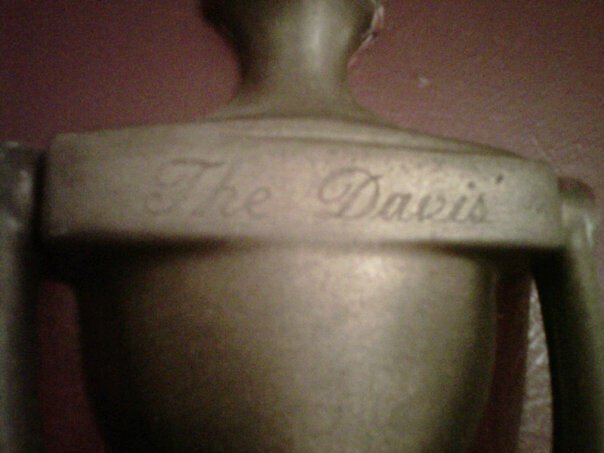 Our last name already on our door knocker! Apparently, this was the last name of the people who built the home and no one has changed it since. It was meant for us to be is very last owners! So awesome! I can't wait to get everything moved in and start decorating!